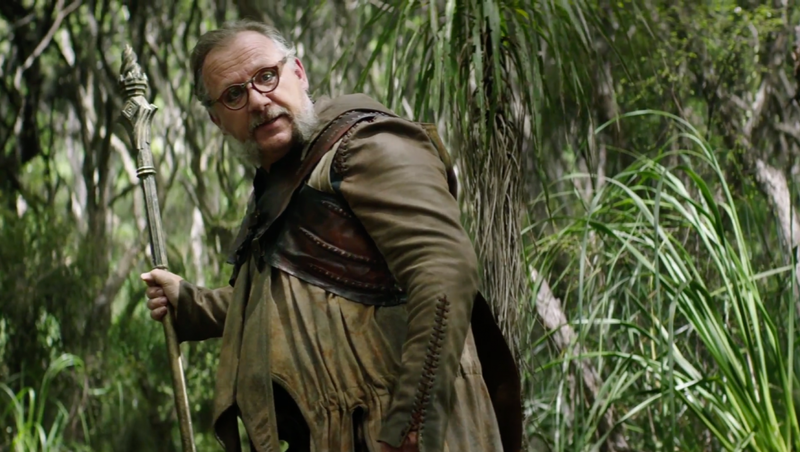 The experience of watching episode 5 and 6 of The Shannara Chronicles this week was a heart wrenching one because of so many crazy events happening. My brain hasn’t processed it all yet. We have families reunited, alliances made, betrayals, time travel, skulls, almost weddings, sword fights, Mord Wraiths, more magic, and death, lots of death. Here are the most memorable moments from the two-episode extravaganza. Cogline’s a druid? Say what? Just having left the castle, Jax parts ways with Eretria claiming that he’s got stuff to do. As he disappears, she suddenly gets attacked by Leah soldiers but is thankfully helped by Cogline! 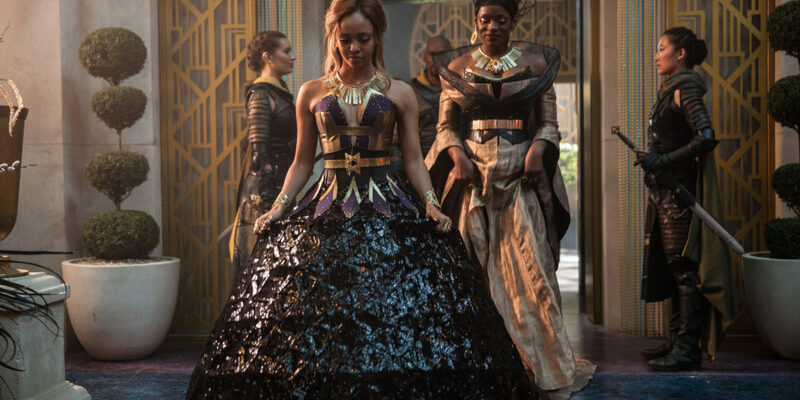 Unfortunately though it seems that the ex-rover keeps getting pulled back to the golden city because her friend says that they need to speak to the queen immediately. If I were Eretria I’d be ridiculously sick of all this back and forth. Once they arrive at court, we discover that Cogline used to be a druid and looks like he served the Leah royal family. 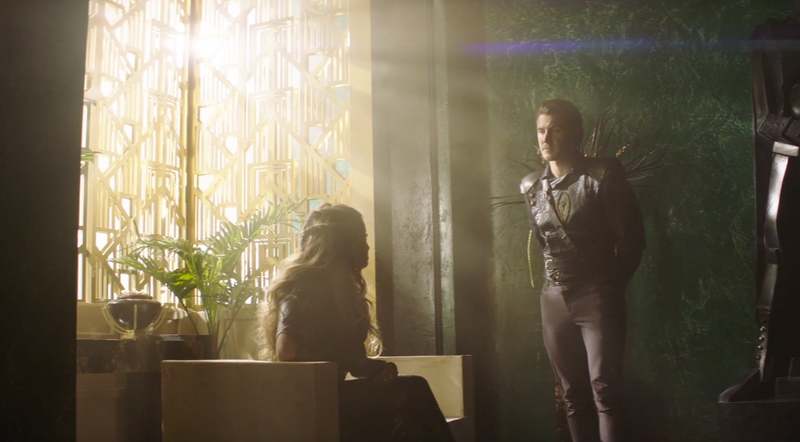 Queen Tamlin asks why he’s returned after 30 years and he tells her that when he left the king swore he would fight the Warlock Lord to the last man. We also get a little history lesson that Leah was the only city untouched by the War of the Races and it was because Tamlin negotiated a deal with the evil druid. The Warlock Lord killed the queen’s husband, gave her the throne and in exchange he would drink from the Heaven’s well. The well is the source of the Silver River and the magic in those lands. While the queen is super defensive about her choices, Cogline interrupts her and explains that her efforts to save her people doomed them all if the Warlock Lord returns. Meanwhile in Paranor, Allanon sends Mareth away saying that she shouldn’t enter the keep because it’s too dangerous with her uncontrolled magic. She huffs off in anger while the two men go in. Wil asks Allanon what the plan is but the druid claims that it’s better that he doesn’t know because Bandon can read his thoughts. Inside the duo find Bandon and Flick. Bandon scans Wil’s mind and sees that his intentions are true. Allanon’s head though is closed to him and the druid tells his former student that he will only get the skull when Flick is free. The guy does so but only after slicing the elder Ohmsford with his blade, which is naturally coated with poison. 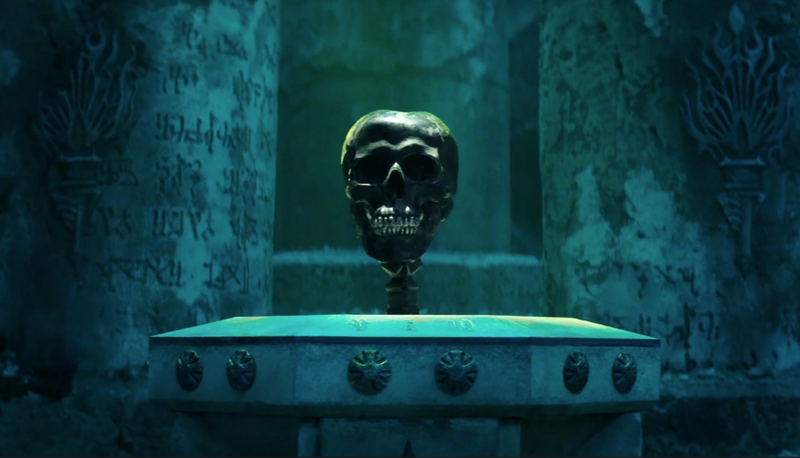 Allanon then touches some runes on a broken column and a bright light appears with the skull materializing on a pedestal. Bandon quickly realizes it’s a fake but before he can do anything the older man tackles him. Mareth easily activates a spell, locking them both within a prison. Turns out she and Allanon planned this little trick without Wil’s knowledge so that he wouldn’t reveal it to Bandon. But still the halfling is pissed because his uncle is now poisoned and dying. Inside the magical cage, Bandon and Allanon are prevented from injuring each other by any means. We also discover this week the meaning behind Eretria’s tattoo and boy it’s a doozy. In Leah, she demands that Cogline to tell her the truth regarding the tattoo and her mom. He gives in and explains that the tattoo means she is a descendent of a sect that survived the great wars aka Armageddon’s children. They survived because they weren’t entirely human, they were hybrids with demon blood. Uhm come again? To make matters worse that meant they could be corrupted and controlled by anyone with powerful dark magic. Eretria inherited this from her mom. Cogline continues that they had been constantly hunted and that her mother had been fatally wounded by a demon when he met up with them. He had promised the dying woman that he would take care of her daughter. She asks how can she believe him after all his lies and he says that he can prove it. He takes her to an abandoned police station where he is keeping a black Mord Wraith prisoner inside an electrified jail cell. 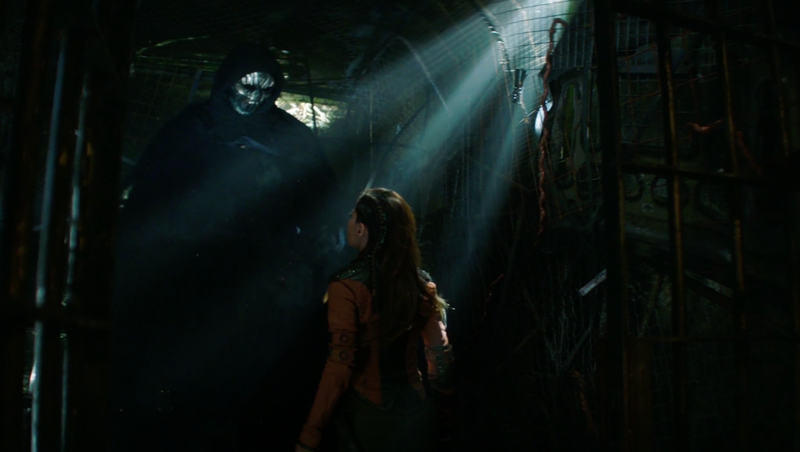 Cogline disables the electricity and tells Eretria to go inside in order to train herself. He instructs her to use her will to get the Wraith to submit and she is able to do it. However, she later confesses that she liked that feeling. Be careful, fear leads to anger, anger leads to hate, hate leads to suffering, and you know, to the dark side. Turns out the skull isn’t hidden in Paranor afterall. However, the means to get to it is. After some investigating, Wil uses the elfstones to summon a chamber of sorts that they believe will lead them to the skull with their combined druid/Shannara blood activating it. Wil tells the other halfling that this is the perfect way to confirm once and for all if she is Allanon’s daughter because the spell would work if she was. The imprisoned druid yells that if she’s not it will kill them both but they take the plunge anyways and it totally works. So magical DNA test proves that he’s her dad. That’s sorted. When the two regain consciousness, they find themselves transported to Shady Vale except it looks different. Soon they discover that they’ve been sent back in time because they help rescue Wil’s dad Shea Ohmsford from some local bullies. Well this is nice, it’s a father-son reunion! All is not perfect in Shady Vale though and Wil stumbles onto the early stages of his parents’ relationship. 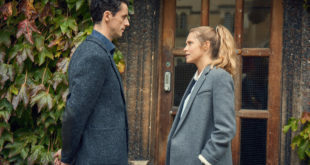 Shea ends up breaking up with Hedy after he overhears her talking to Wil. He claims that it’s too hard with everyone against them and he runs off. Wil finds his dad inside the cave within the waterfall where he and Mareth hid from the Mord Wraiths a few episodes ago. Shea confesses that he’s been troubled by dreams of monsters with silver faces trying to kill him. Wil then tries to explain that what the other man is seeing are visions of the future and that it’s real. Understandably Shea doesn’t believe him and he trips while backing away, suddenly seeing Wraiths, Hedy covered in blood, a cornfield, and the Warlock Lord’s skull. He then takes off into the cornfield. Then because of Murphy’s Law, a Wraith materializes but is quickly neutralized by Wil using the elfstones. Looks like Jax’s been using the money he earns from being a mercenary to help the family of one of his men. Unfortunately the Crimson finds him and wounds a young boy he’s supporting. He is quickly able to take them out but keeps Lieutenant Valka alive because the elf just made it personal. He takes the elf back to Leah so that King Ander can get info on General Riga. Sadly though the wife of one of his men (who had died) angrily tells him to leave and never come back because he’s cursed. Ouch. Back in Leah, Lyria brings Ander to the stable where Jax has Valka. Back at Paranor, Flick is dying and pissed off at Allanon because the druid brought so much misery and heartache to his family. Allanon though is all please don’t blame me I didn’t choose their destinies. The elder Ohmsford scoffs at that and asks if it’s his destiny to die like this, to which Allanon remarks that some people are meant to be sacrificed. Wow he really needs to filter himself. But the human isn’t the only one suffering, Bandon notices that the druid isn’t looking too great and it turns out that they are both being weakened within the prison. But since Allanon is super old, the effects are worse on him because he uses magic to sustain himself, so basically he’s dying too. The hunt for the Warlock Lord’s skull continues in Shady Vale. However, Shea is reluctant to believe that he’s anything more than a farmhand when the two time travelers tell him of all the great things he will do. Just when he’s had enough, Wil tells him the story of during one particularly bad winter he released a rabbit from a trap even though his family had no food to eat because he felt bad for the animal. Shea had never told anyone the story before and Wil said not yet anyways. Mareth recommends though that he should stay hidden because the Mord Wraiths are already looking for him. The trio go back into the cave where Wil asks his dad if he’s noticed anyone or anything unusual lately. Shea hasn’t though and says that he has to leave to meet Hedy because they’ve entered a scarecrow competition together. Wait a sec, did he forget that he broke up with her and also evil creatures hunting you! But the other man is stubborn and still wants to go but Wil in frustration bursts out saying that they do win the competition, Hedy tells her dad that she’s in love and that he’s heard this story his whole life. Shea then asks who Wil really is and the other man reveals that he is Shea’s son. Come he was dying to spill the beans! So Wil leaves dad in the cave and goes to check out the scarecrow with Mareth, relying on a hunch after remembering playing with the thing inside their barn as a kid. But it’s not there though they luckily run into Hedy who tells them that the Ohmsfords have a scarecrow out in their field. So the twosome rush over yet still no skull to be found. 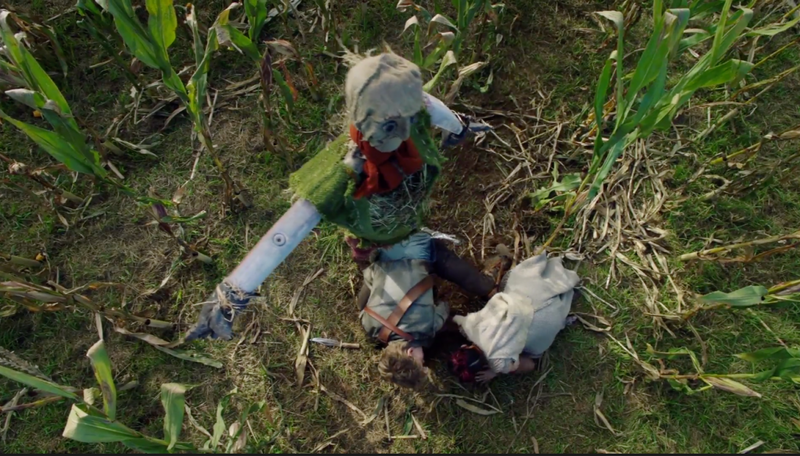 Wil then realizes that the scarecrow itself is just another clue and that his father and Allanon must have hidden it below in the field itself because in present day Shady Vale the whole area had become a lake after a flood. After some digging they manage to find it at long last. 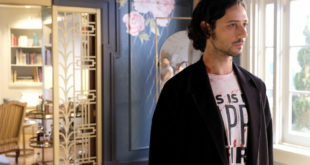 Things take a turn for the worse when the Mord Wraiths show up and find Shea who’s gone in search of Hedy to apologize. Wil manages to destroy them once again with the elfstones but his dad gets cut pretty deeply. He uses the magic again to heal his father and then has a heartfelt moment with his mom. He tells her that the road ahead of them won’t be easy but that Shea is a good man and to remember her love for him. This is the goodbye he was never able to properly have with her. Excuse me while I mop the tears from my keyboard. Mareth and Wil then return to the Paranor and the present, but before leaving they see Allanon riding into Shady Vale. Shea’s journey is about to begin. Meanwhile in Leah, Ander asks the princess if she’s sure about going through with their marriage because of her feelings for Eretria. Lyria answers that this is how she’s going to keep the ex-rover safe by making her mother believe that she’s getting what she wants. The elven king then surmises that when they are married Queen Tamlin will have no choice but to support them and they will use that to defeat the Crimson. He also adds that if they do this they need to be honest with each other. She agrees that their people need to come first. They shake on it to seal the deal. 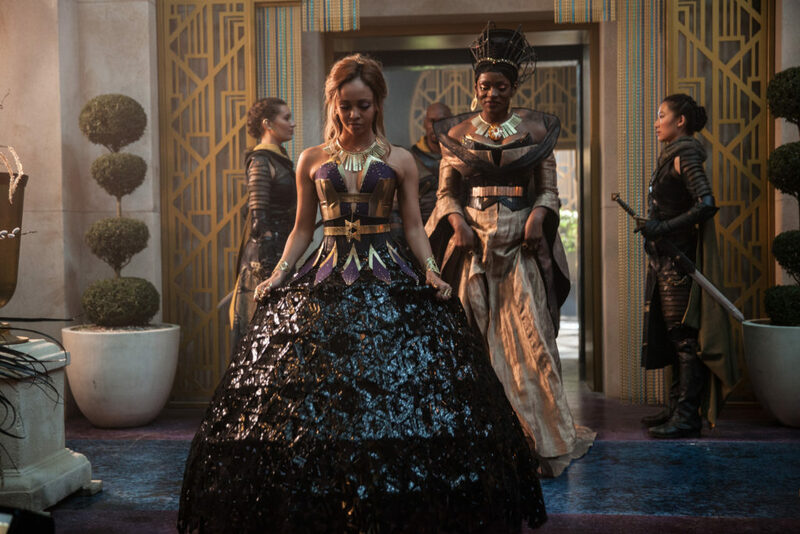 The twosome then approach Queen Tamlin to seek her aid in eradicating the rebel elves. She proclaims that her weapons vault is at their disposal but Lyria also asks for a brigade of Leah soldiers. 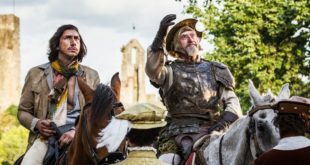 Their discussion is interrupted suddenly by one of the Tamlin’s guards who informs the royals that the Crimson had breached a wing of the palace and rescued Valka. Furious, Tamlin provides the bride and groom with three units. She then tells the guard to bring Jax to her. Looks like the ties between the queen and the Crimson are over as she hires him to kill General Riga. 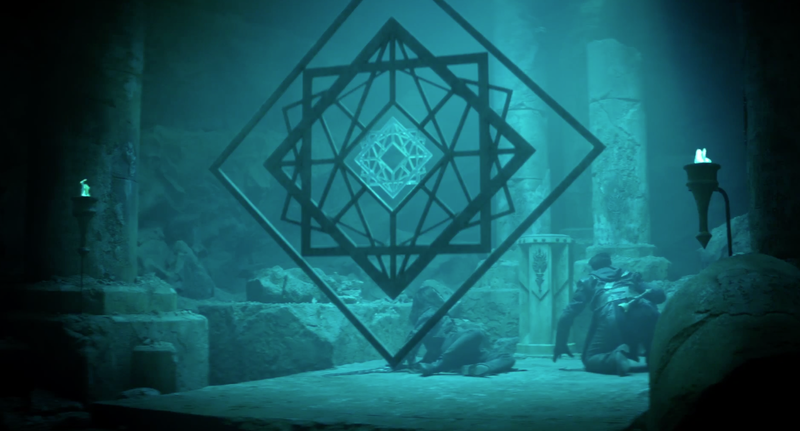 Cogline tells Eretria that the Warlock Lord will seek her out because of the darkness within her and that she must prepare herself to resist him. If he is able to drink from the well and corrupts it, the Four Lands will be doomed. Alright we get it. Later on she returns to the electrified prison and stands in front of the Wraith. She then thrusts her hand inside it and manages to somehow vanquish it. During the smiting, Eretria’s eyes go completely black (much like Bandon’s before) and she gets a vision of the Wraiths and herself with yellow pupils as she if she’s possessed. Clearly rattled, she slowly backs out of the cell not understanding what she’s seen when Jax finds her. He explains that he was supposed to kill Riga but that plan went south and he’s pretty sure the Crimson is going to go after the queen. So Lyria and the mercenary hightail it back to Leah once again. Back in Paranor things are still pretty grim. 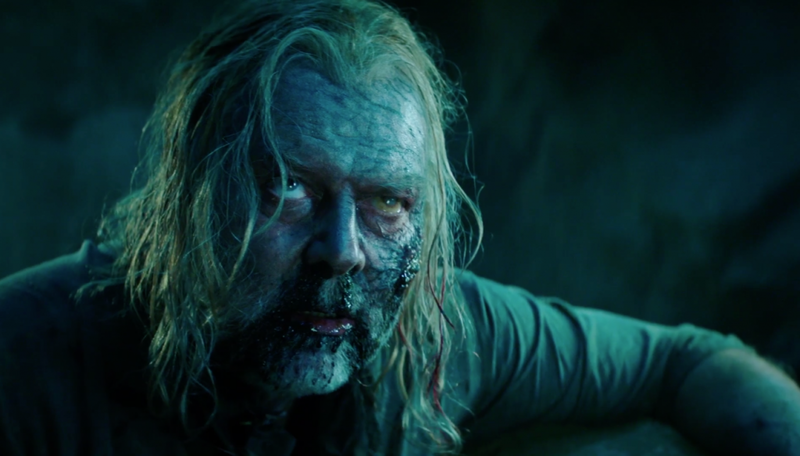 The poison has consumed Flick even more and Bandon is campaigning to be released from the prison because he has no quarrel with them and only wants the skull. Mareth knows the spell to release either men and Wil asks her to trust him. She reluctantly does but tells him that she’ll go against Allanon’s wishes but he shouldn’t act like the druid. So the other halfling lets Bandon out but he then puts his blade against Flick’s chest saying that he’ll only cure the man if Wil hands over the skull. Wil demands that he help his uncle first before he hands over the Warlock Lord’s head. Flick then does the unimaginable and tells his nephew that he loves him before pulling Bandon’s sword down upon his chest. Holy crap! 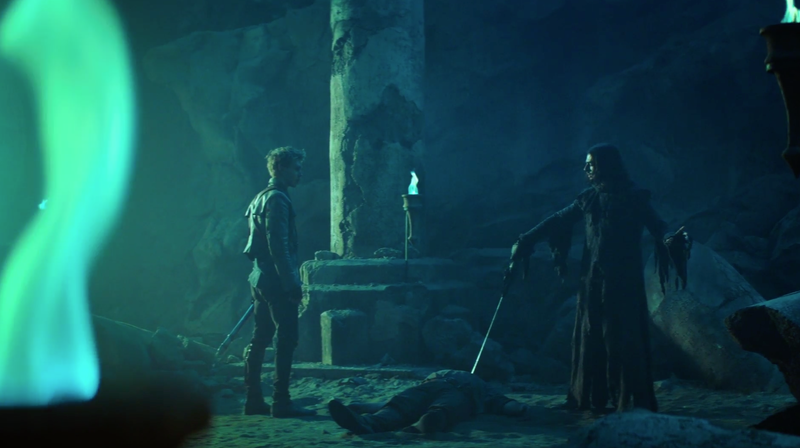 Wil is enraged and he uses the Sword of Shannara to fight the dark elf. Unfortunately he isn’t powerful enough and the other man is able to break the blade, stunning its wielder. Mareth in the meantime releases Allanon who then battles Bandon himself. This is such a hard scene to watch because the druid then gets wounded with the poisoned weapon while the Warlock Lord’s underling makes off with the skull. Curses! It’s time for Ander and Lyria’s royal wedding at the palace but before they can say any kind of vow, General Riga reveals himself to be the officiant and all hell breaks loose. His men appear from all corners and it’s a blood bath. Lyria does a pretty decent job in battling the rogue elves herself with King Ander taking on the Crimson leader. Riga tells his king that he doesn’t deserve the crown and then stabs the other elf on the side. No. DO NOT LIKE. 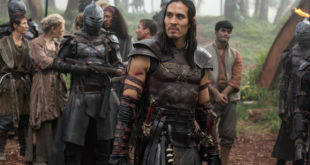 Eretria and Jax arrive in time to engage the enemy and the princess tries to take Riga out but is easily knocked aside. The general is about to kill her when Ander thrusts out his sword and this is where I scream NOOOOOOOOOOOOOOO. Because what happens next is horrible. Riga then thrusts his blade into the elven king’s heart and the guy collapses. The episode ends with a close up on Ander as he stops breathing. WHAT THE DAMN HELL. This is not ok. So technically Allanon isn’t the last druid because Cogline is still alive right? 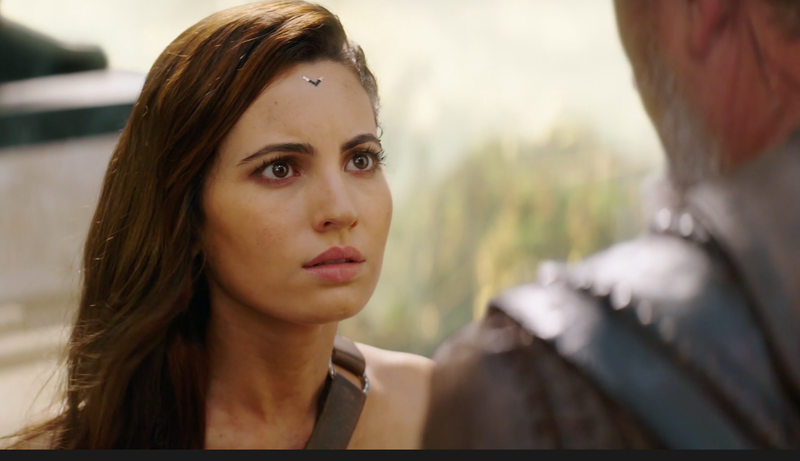 Eretria is magical now too except she can be a weapon of the Warlock Lord and from the visions both she and Wil had, looks like she could be joining Team Dark Magic with Bandon sometime in the future. Wil thanking his mom was so heart wrenching. It was a beautiful scene and truly such an intense moment for the character to be able to get closure and say goodbye to his mom. Shady Vale back in the day gives off an intense hipster commune vibe. I like it. Also Mareth has a crush on Wil! But the question is how does he feel in return? I know it’s been a year technically since Amberle’s death but I’m not ready for him to be ready yet! Now that Allanon is poisoned as well, who can cure him since Bandon’s halfway back to his evil hideout by now. We had two big deaths in Crimson and I was NOT prepared for it. Ok I was prepared for Flick’s death but not Ander. Now who is going to rule Arborlon? Who is left in the Elessidil line? Is this a opening to bring in Wren Elessidil from the books? But in the immediate elven power vacuum General Riga could easily sweep in. Although this could also be a good move for Queen Tamlin to use Lyria as a pseudo ruler there since she was going to marry Ander. 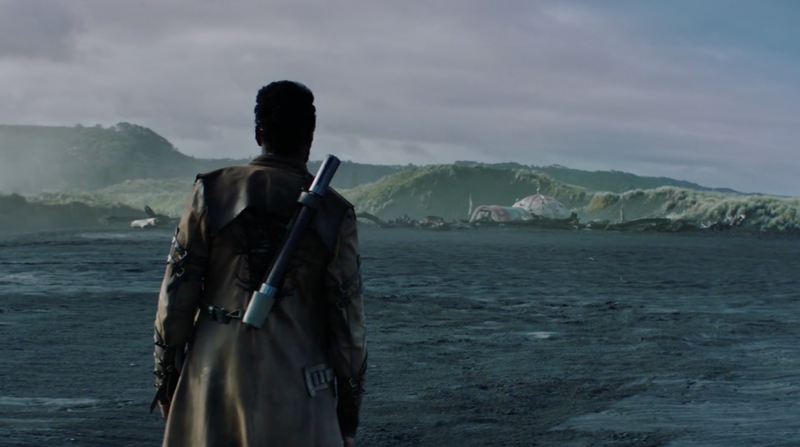 Also I wasn’t expecting the Sword of Shannara to be destroyed so fast. It’s a pretty important magical weapon and now what are they going to use against the Warlock Lord? I am 100% behind Eretria being magical because why do Wil, Mareth, Allanon, Cogline, and Bandon get all the fun?